For the past week, spring has shown signs of turning into summer. 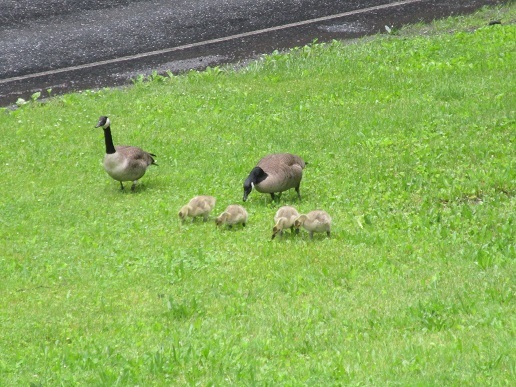 I can see it through the geese and goslings in my yard. These little ones are losing their yellow tint and beginning to get longer necks, a tell-tale sign of growth. 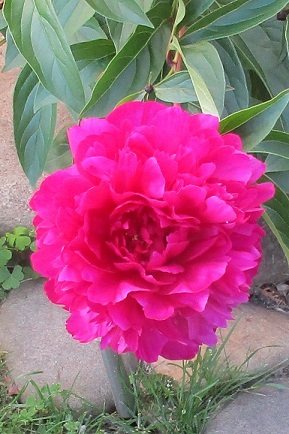 This bloom blossomed on the east side of Jim Thorpe, displaying its full radiance and color in a short-lived existence. With the rain that came this past week, I wonder if it remains. The moment my camera captured these birds and blooms, time stands still. Sometimes I wish those moments would remain. But they don’t. While the goslings and the blossom with disappear, the beauty and feelings that come with these pictures won’t. A segment in a book titled The Path: What Chinese Philosophers Can Teach Us About The Good Life (by Michael Puett and Christine Gross-Loh), it asks ‘What do you do on a daily basis to gain that feeling (of goodness)? My answer is easy: I share the beauty I see so others may enjoy it, too. I want others to see and create a world they love around them, a world of goodness, peace and beauty. For now, I do it as often as I can. I’m learning to follow my passion more often because it brings me a feeling of peace. What would your response be? Please share. This entry was posted in Creativity, Inspiration, Nature, Passion, Peace, Spiritual Living. Bookmark the permalink.